1. 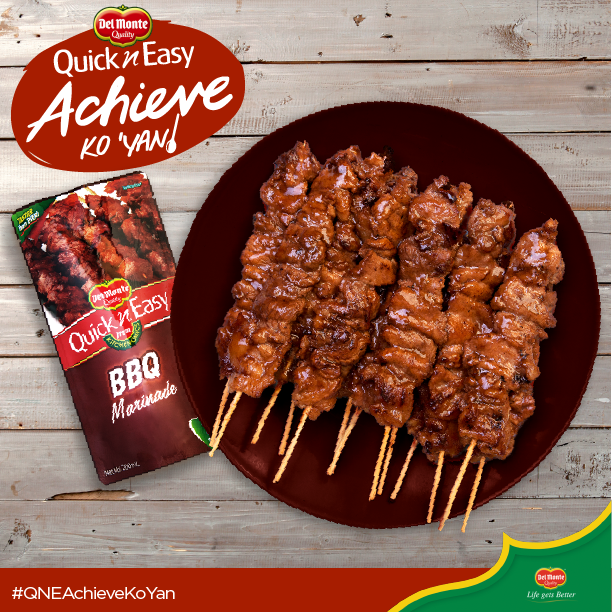 Add Del Monte Quick ‘n Easy BBQ Marinade to pork slices and mix well. 2. Cover and marinate for at least 30 minutes in the refrigerator. 3. After marinating, skewer the meat on barbecue sticks. 4. Charcoal-grill or pan-grill a little oil until thoroughly cooked on both sides. Serve.